NEW PRODUCT – Slamtec RPLIDAR A1 – 360 Laser Range Scanner « Adafruit Industries – Makers, hackers, artists, designers and engineers! Is your favorite robot currently in a mid-life crisis? Does it need a new purpose or perhaps, direction? Well now you can find your way with the affordable and easy to use Slamtec RPLIDAR A1. You may have heard of LIDARs when people talk about self-driving cards. 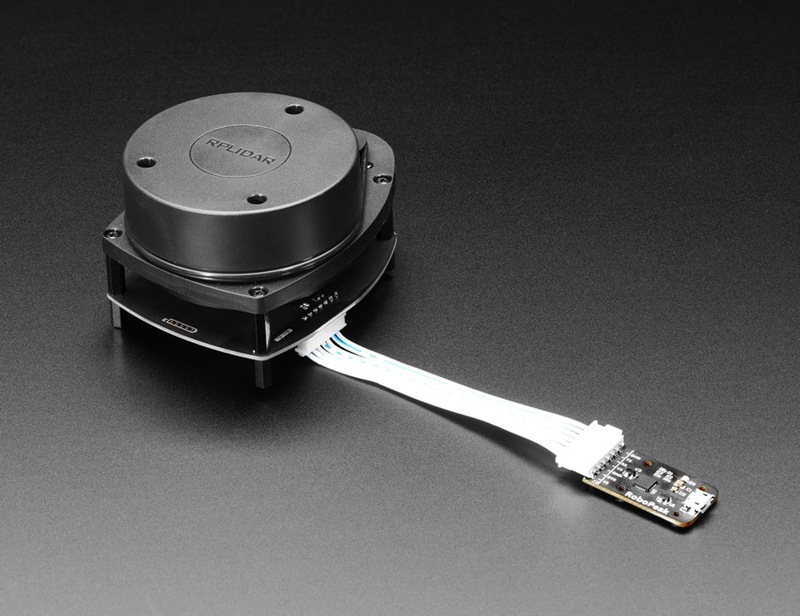 A LIDAR is a sensor that can detect distance precisely, using a laser. Unlike Time-of-Flight sensors, LIDARs are incredibly fast. Unlike sonar/ultrasonic sensors, they’re very precise, measuring the point exactly ahead. 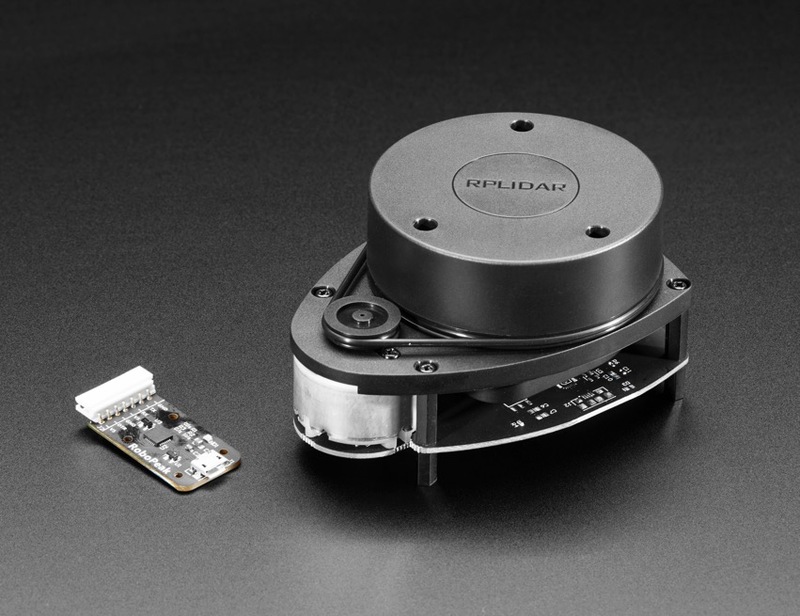 Now, because you can get accurate distance measurements at high speeds, you can put the LIDAR sensor on a spinning motor. The laser shoots out thousands of times a second, and when correlated with the angular location, can create a 2D ‘map’ of obstacles and walls. 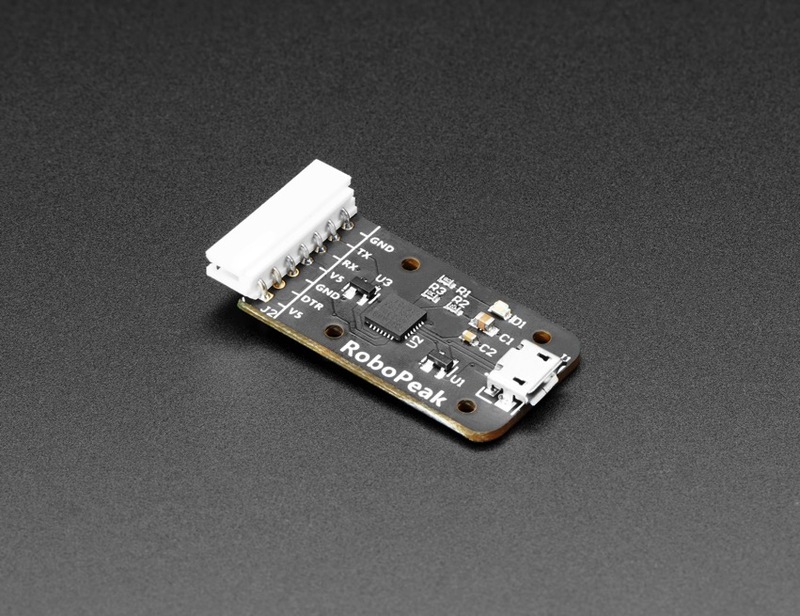 Normally, LIDAR sensors are outside the budget of hobby/maker robots, but the Slamtec is a great price and is an excellent choice for many robots or interactive projects. 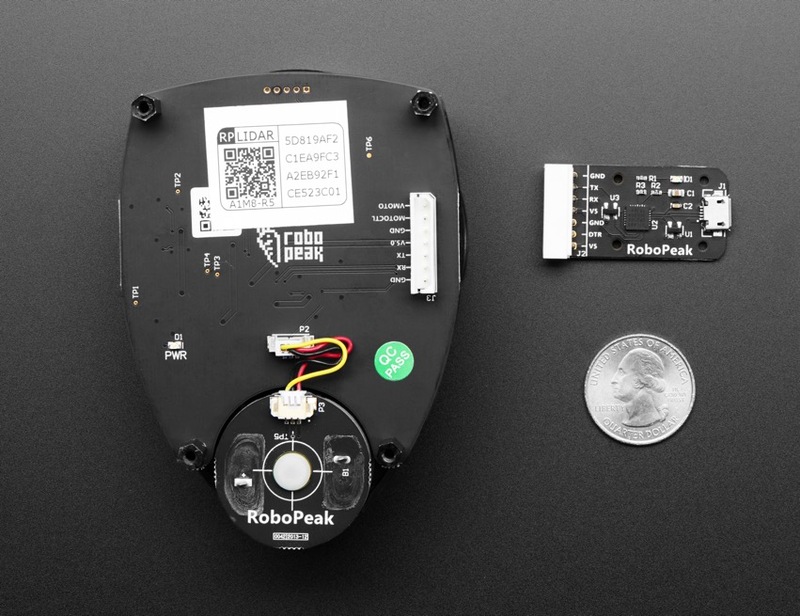 This laser scanner development kit can perform 360-degree scans within a 12-meter range. You can configure it for 2-10 Hz sample rate (that’s for an entire rotation). Out of the box you’ll get 0.2cm distance resolution, 1 degree angular resolution and 12 meter range. 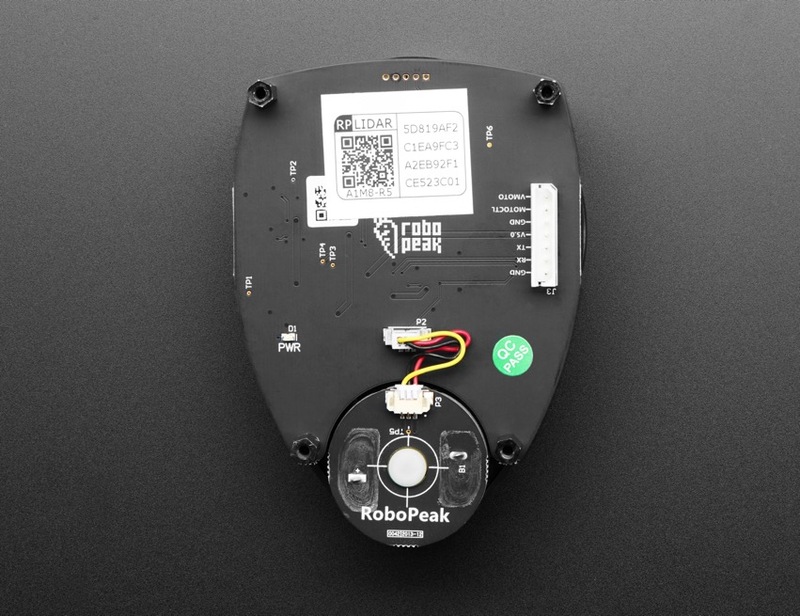 The sensor comes with a onboard connector with power and data pins. You can power from 5V, and data is 3V logic “TTL” serial. You could in theory power and communicate directly over the serial pins, but for most computers, it will be a lot easier to use a USB cable and connect to the included USB-serial converter dongle. Please note: despite having RP in the name, its not just for Raspberry Pi computers. Slamtec provides plug-n-play software that ran on our computer very easily and will plot out the 2D point cloud data for quick testing.